So you’ve got your pool up and running, cleaned out all of the leaves and dirt, and everything’s looking good, then one day you look out and notice that your pool water is cloudy. What happened? In this article, we will discuss what causes pool water to turn cloudy and discuss ways to get your water clear again. Cloudy pool water can be caused by several things. The most common being a lack of chlorine. Without enough chlorine, algae and other bacteria begin to grow within the water, causing it to look hazy, and eventually to turn green. Another common reason why pool water turns cloudy is a build up of fine particles in the water. At their very best, sand filters only filter down to around 20 microns. Anything finer than that isn’t able to be easily filtered and will generally pass right through the filter and back into the pool. As these particles build up they will cause the water to look cloudy. Another cause of cloudiness in pool water is poor filtration. When new, the sand used in pool sand filters is full of sharp peaks and valleys (imagine ultra-fine pieces of broken glass). Dirt, dead algae and other particles larger than 20 microns are trapped in the valleys as water passes through the sand. As water passes through the filter, those peaks and valleys are gradually worn away however. The more these peaks and valleys are worn away, the less effective the filter is at trapping debris. Eventually, the sand is now longer able to effectively keep the water clean and needs to be replaced. Typically pool filter sand needs to be replaced every 5 or so years to stay effective. If your pool has a cartridge filter, you face a similar issue. The paper filters found in pool cartridge filters degrades over time and should be replaced every 5-7 years. Even if your filter is brand new, you can still get cloudy water if your pool pump isn’t running long enough. In order to properly filter and clear the water, all of the water in the pool must pass through the filter at least 2-3 times per day. For an average sized pool this means running the pump for 10-12 hours a day, preferably during the day. Worried about your running costs? 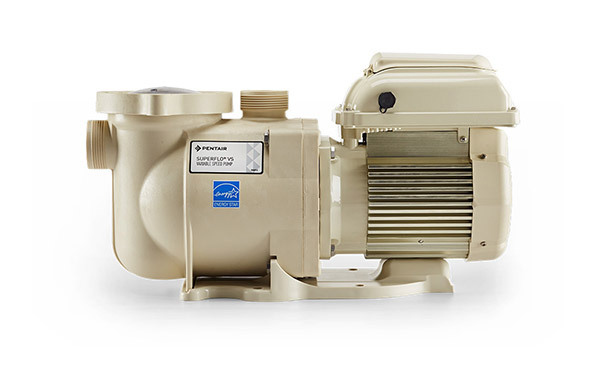 Variable speed pool pumps use significantly less power than single speed pumps, saving the average pool owner anywhere from $300-$500 per year! 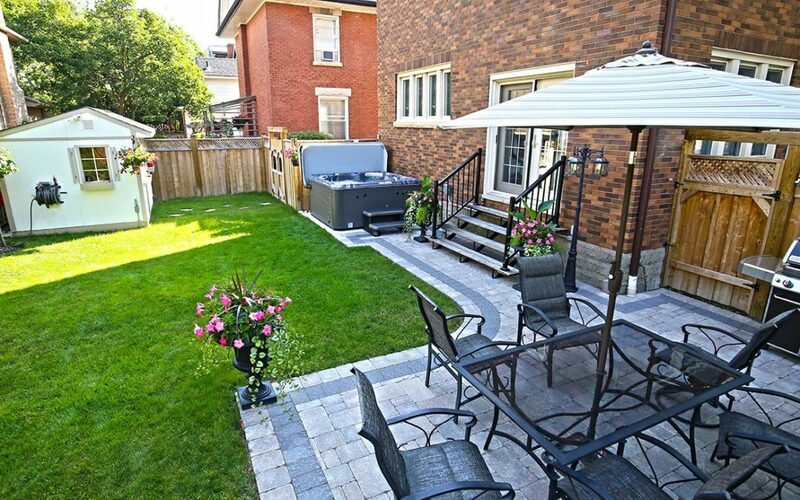 For the 2018 pool season, Brady’s Pool and Spa Care will also be offering a $400 credit on all new variable speed pool pumps as part of Hydro Ottawa’s Poolsaver program! The final common reason for pool water turning cloudy is poor water balance. Excessively high pH, alkalinity, and/or calcium hardness can very easily cause cloudiness issues. Water that is acidic (pH less than 7.0) can hold more particulate in suspension than water that is basic (pH greater than 7.0). So, the higher the water’s pH, the less fine particulate (most commonly minerals like calcium) it can hold in suspension. When water that has a lot of fine particulate (commonly called “dissolved solids”) in it increases it’s pH/alkalinity, those solids can “fall out” of suspension. This makes the water look cloudy. Pools will also typically go cloudy after an algae bloom. If your pool is green, then turns cloudy after you shock it don’t worry. The cloudiness is simply dead algae that needs to be filtered out. The first thing to do when your pool water turns cloudy is to get your water professionally tested. The first thing you should look for is how much chlorine is in the water. Water can start to become cloudy with a chlorine residual of 1ppm or less. If your water has less than 1ppm of chlorine in it, simply add chlorine and see if the water clears. If the water already has a good chlorine residual (or if adding chlorine doesn’t help to clear the water within a day or so) you should then look at the pH and alkalinity levels. If they are high (pH above 8, alkalinity above 180) then there is a good chance that they are to blame. 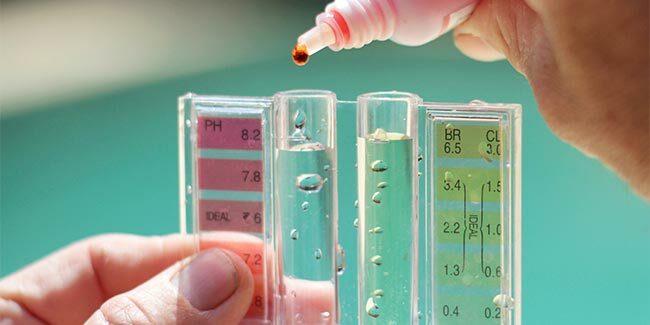 The higher pH and alkalinity are, the more likely they are the cause, especially if there is also a lot of calcium or other dissolved solids in the water. Maintaining proper water balance is one of the best ways to keep your pool water clear. If the water test comes back with a good chlorine level and well balanced water the next thing to look at is your filtration system. When was the last time you changed your filter sand? How long do you run your pool pump in a given day? Can You Swim In A Pool With Cloudy Water? If you suspect that the cloudiness is caused by a lack of chlorine, avoid using the pool until the water has cleared. The bacteria and algae causing the cloudiness in the water can be harmful if ingested and can make you sick. If your water does have a good chlorine level however you can most likely swim in a cloudy pool. If the pool has a chlorine level above 1ppm the cloudiness is almost always related to filtration or poor water balance. In this case the cloudiness is caused by harmless minerals and other fine particulate. 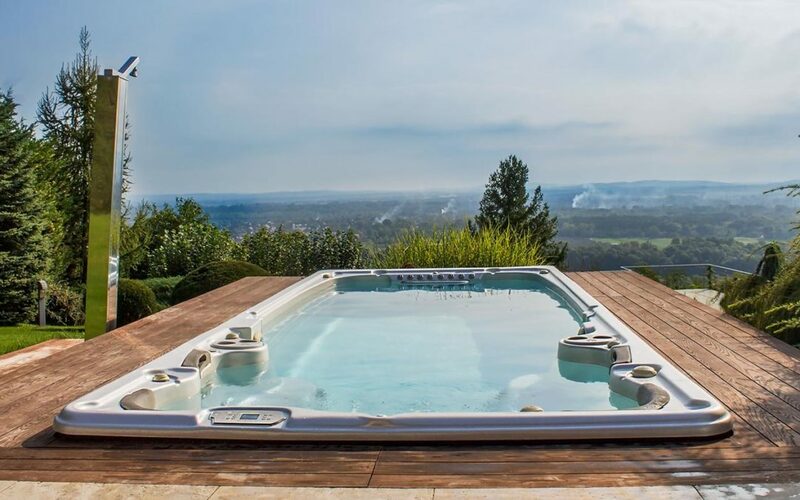 To treat pool water made cloudy by a lack of chlorine, simply keep adding chlorine to the water until the water maintains a chlorine residual of 2ppm or more. If you suspect that the cloudiness is caused by poor water balance, simply add a pH/alkalinity decreasing chemical until the water comes into balance. If your water test results shows no obvious cause for the water turning cloudy, then the issue is most likely with the pool’s filtration system. Either there is an issue with the filtration system itself, or the particles are simply too fine for the filter to catch. Start by adding a clarifier to the water. 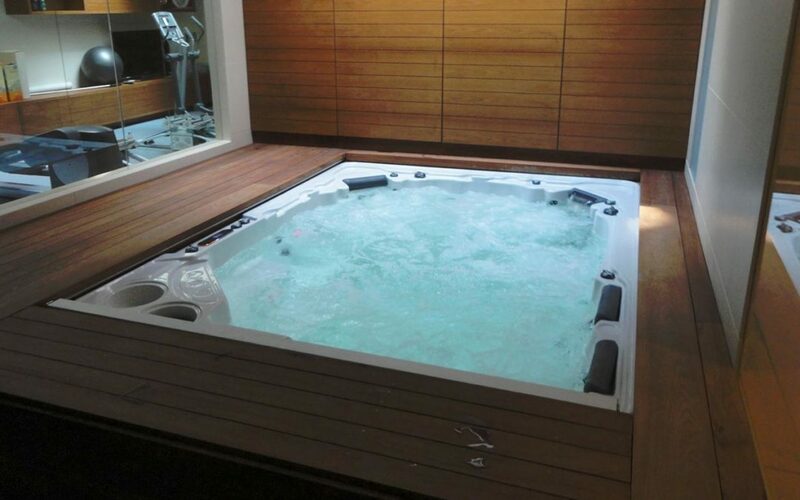 The clarifier will group the ultra fine particles together so that the pool’s filter can more easily filter them out. If the water doesn’t clear after two or three treatments then the pool’s filtration system could be to blame for the cloudiness. Start by running setting you pump to run 24 hours per day. If that clears up the pool water, set your pump to run for at least 12 hours per day, during the day, for the rest of the season. Running your pump during the day is important because that’s when most of the chlorine is used up. If the water isn’t circulating at this time you can end up with pockets of water that run out of chlorine and start to turn cloudy. If increasing the run time of the pump doesn’t help either, the problem is likely the filter. If your sand filter is more than 5 years old, you’ll need to replace the sand. If you have a cartridge filter, you can first try cleaning it using a chemical cleaner. If that doesn’t work and the cartridge filter is over 5 years old, replace it. As you can see, there cloudy pool water can be caused by a number of things. Water balance, filtration issues, and a simple lack of chlorine can all lead to water clarity issues in pools. Knowing how to spot the difference between them, and getting your water tested, is the only way to clear your pool. 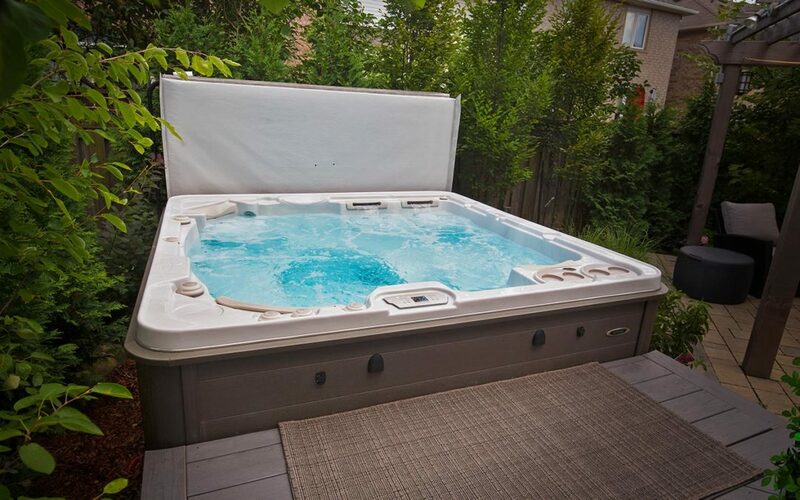 If you have any more questions about how to treat a cloudy pool, or any other water care issues, you can call one of our water care specialists anytime.